The Breitling Watch Source Forums • View topic - Do my Breitling Top Time have original hands? Do my Breitling Top Time have original hands? Post subject: Do my Breitling Top Time have original hands? I recently purchased a Breitling Top Time but I am not sure if the hands are actually original. The reason I'm suspicious is that all the Top Times I have seen have had a red seconds hand and a bit different markers on the sides. I would be very thankful if someone could help me with this. 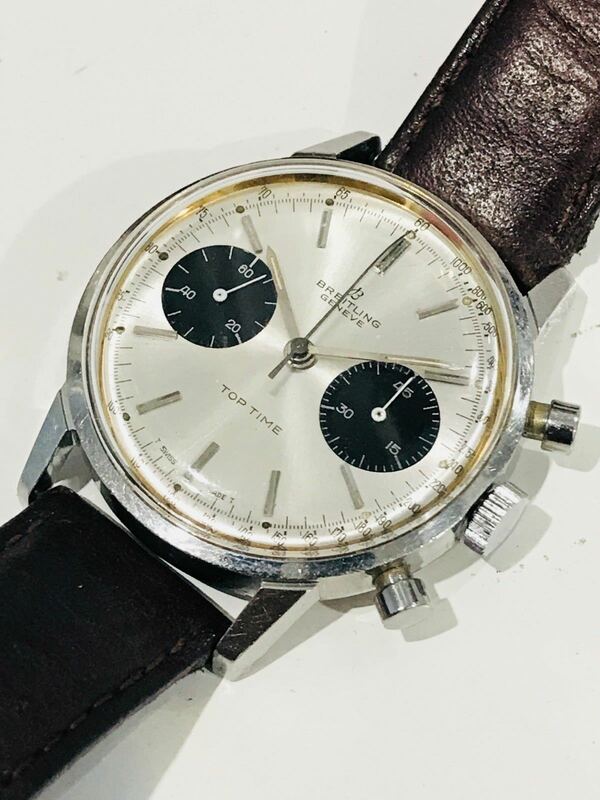 Post subject: Re: Do my Breitling Top Time have original hands? well, you may have asked before winning the auction? these are controversial, as they do not correspond to the catalogs and ads, mk1 thin index and hands should have insert dials, not full dials and there is no documented mk1 panda for the 2002.
we have seen several of them over the years and they seem to be from the TopTime Square - no way to tell if B did such a series, if they are service replacements, or “assemled” from parts and franken. Thank you both so much for your input! Damn, sounds like I stepped into a mine. My case had a lucky ending after all, because I never got the watch and got refunded fully by Ebay. this is the same watch.